This product is a dermal filler for topping up volume, and you can purchase it online from DoctorMedica.co or by phone. 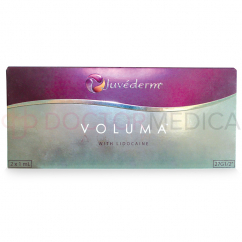 Order it wholesale from Doctor Medica to extend volume correction treatments using a small amount of filler. 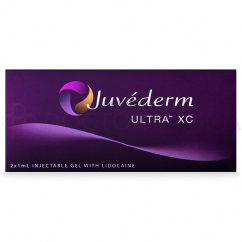 A dermal filler made of non-animal, cross-linked hyaluronic acid with the anesthetic Lidocaine, in a pre-filled syringe. 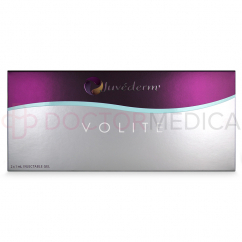 This medical device is the same as JUVEDERM® VOLIFT except that it contains a smaller quantity in the syringe, just enough to top up treatments without waste. 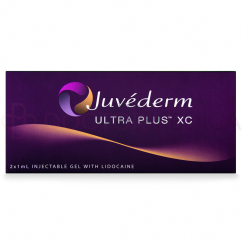 Doctors use it to touch up and extend other dermal filler treatments. 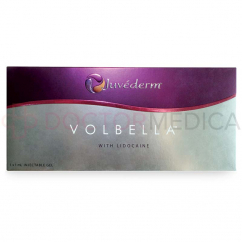 You can also use it on its own to correct deep skin depressions such as smile lines from premature aging, contour and add volume to the cheeks, chin, lower face, or lips, and restore volume to correct asymmetry, contour deformities, or structural defects in the face. 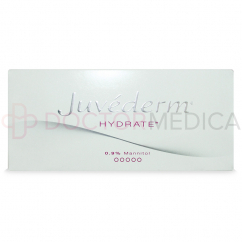 This filler contains hyaluronic acid, which holds moisture within the skin. 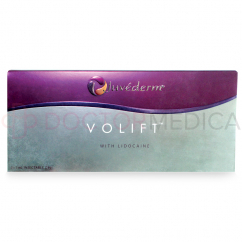 After you inject this dermal filler, it increases in size to fill the area with volume. 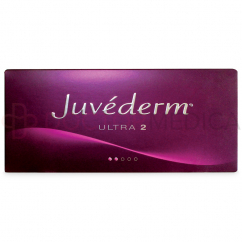 The hyaluronic acid gradually breaks down to leave no trace. 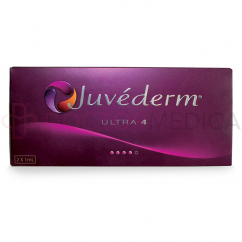 Although the results of its treatment are immediate, the hyaluronic acid does gradually break down. 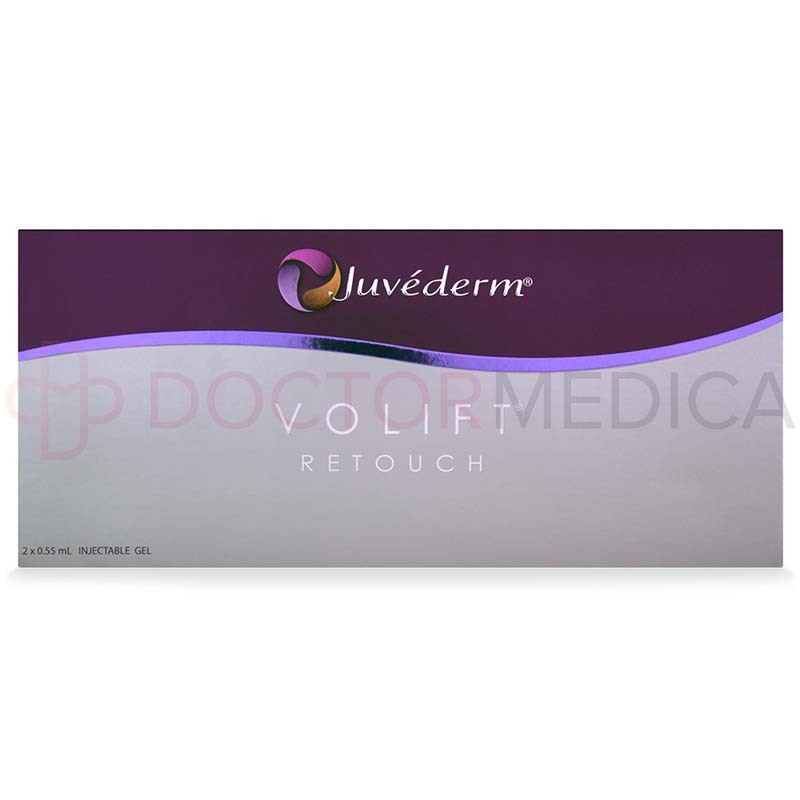 The results usually last about a year, but this filler can also help top up other treatments to extend their results longer. Only trained medical professionals should inject it. To use it, first assemble the needle and luer-lock syringe. 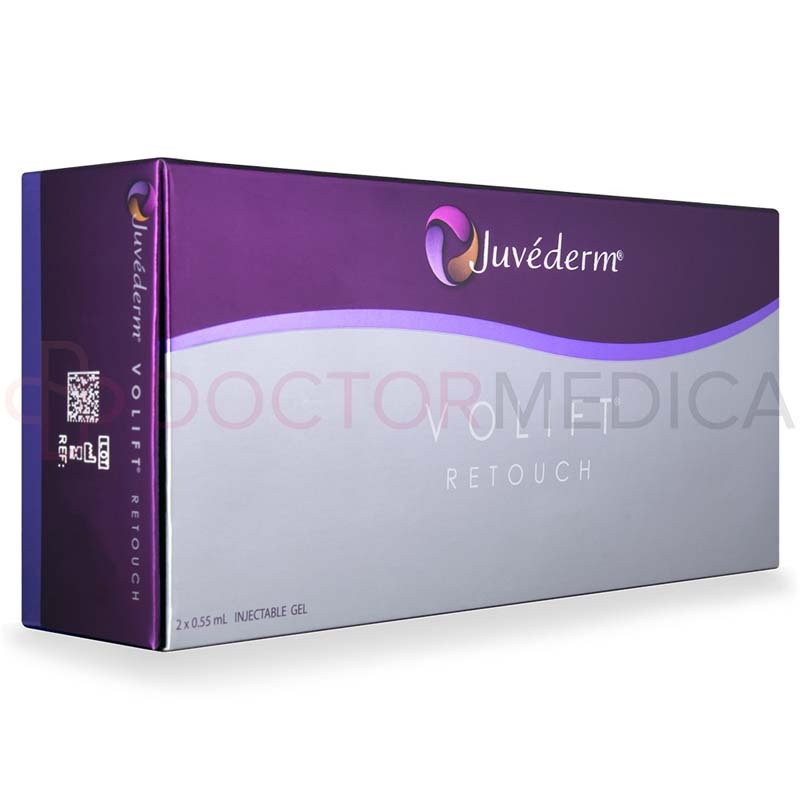 After disinfecting the treatment area, inject the filler into the dermis or the mucous membrane of the lips using the needle or a cannula, depending on your injection technique. 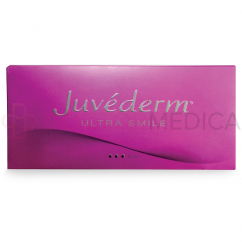 After treatment, gently massage the area to ensure uniform distribution of the filler. 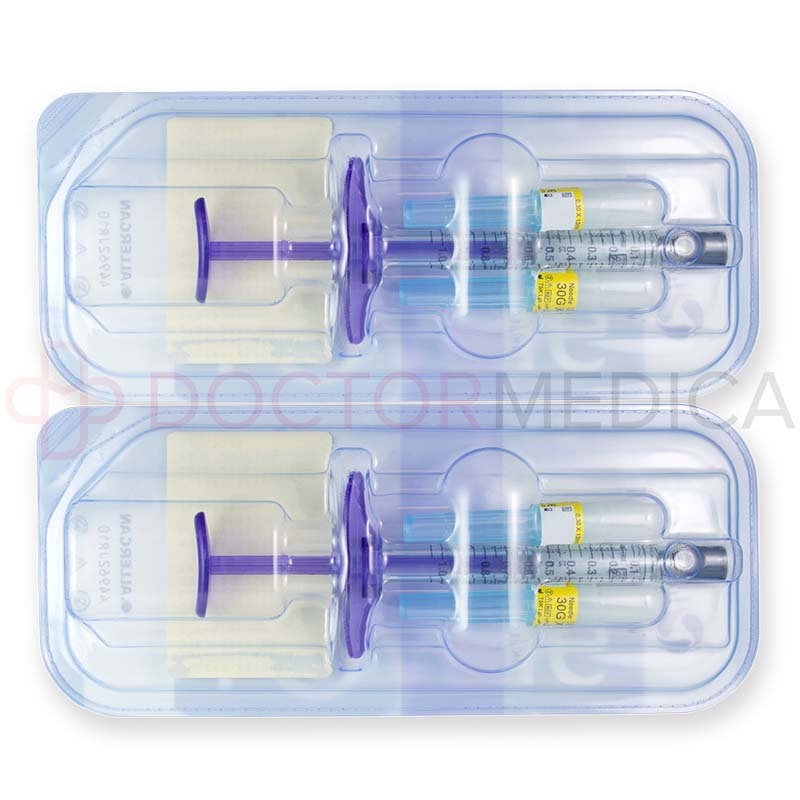 Each syringe is for single-use only, so do not resterilize or use on another patient; properly dispose of needles and any leftover filler gel in the syringe. For complete injection instructions, refer to your product insert. What precautions should I take when using it? You should not inject it into patients who have an allergy or sensitivity to hyaluronic acid, lidocaine, or another anesthetic. 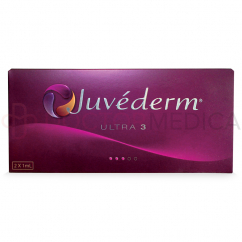 You should not use this filler to treat patients who tend to develop hypertrophic scarring, who have untreated epilepsy, who are suffering from porphyria, who are under the age of eighteen, or who are pregnant or breastfeeding. Be cautious when treating patients with autoimmune disease, multiple allergies or a history of anaphylactic shock, a history of streptococcal disease, or a bleeding disorder. Patients who are taking anticoagulants or other drugs may be at increased risk of bleeding, and it should not be combined with other drugs such as beta blockers. 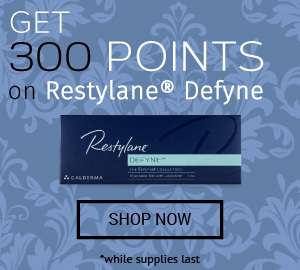 Avoid injecting this dermal filler into areas with inflammation or infection such as acne or herpes, into the blood vessels, into the periorbital or glabellar regions, into an area with a permanent implant or non-Allergan temporary filler, or at the same time as laser treatment, dermabrasion, or chemical peels. Do not overcorrect when using this filler. Avoid using quaternary ammonium salts such as benzalkonium chloride. After treatment, your patients should avoid wearing makeup for the next twelve hours. In the two weeks after an injection, your patients should avoid extended sun exposure, tanning and other sources of UV rays, sauna, and temperatures below freezing. These may not be all the precautions related to using it. 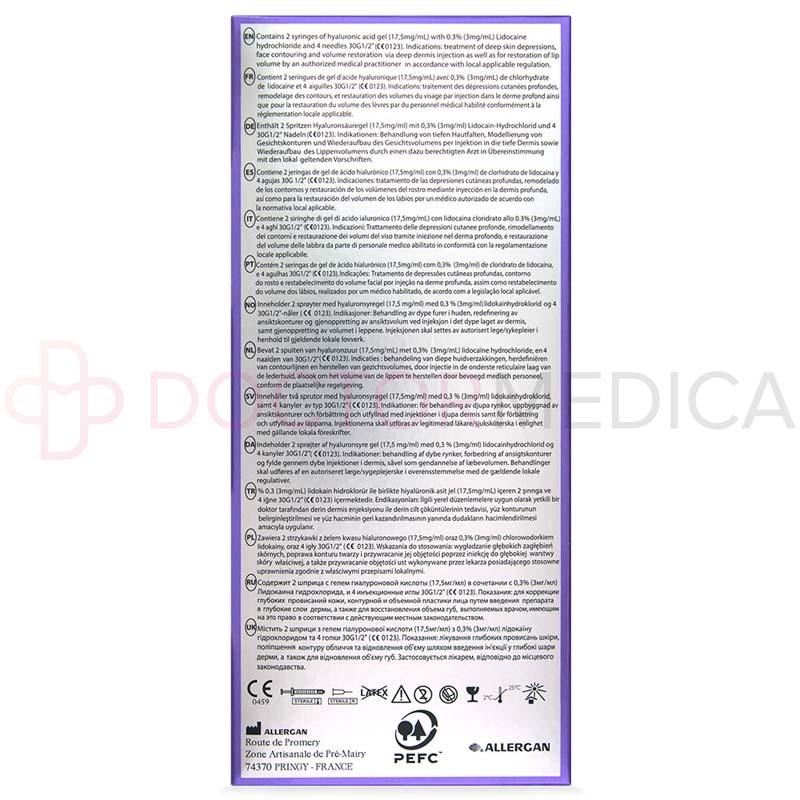 Refer to your product leaflet for more information. The most common side effects usually resolve on their own within the week. These may not be all the possible it side effects. Refer to your product leaflet for more information.